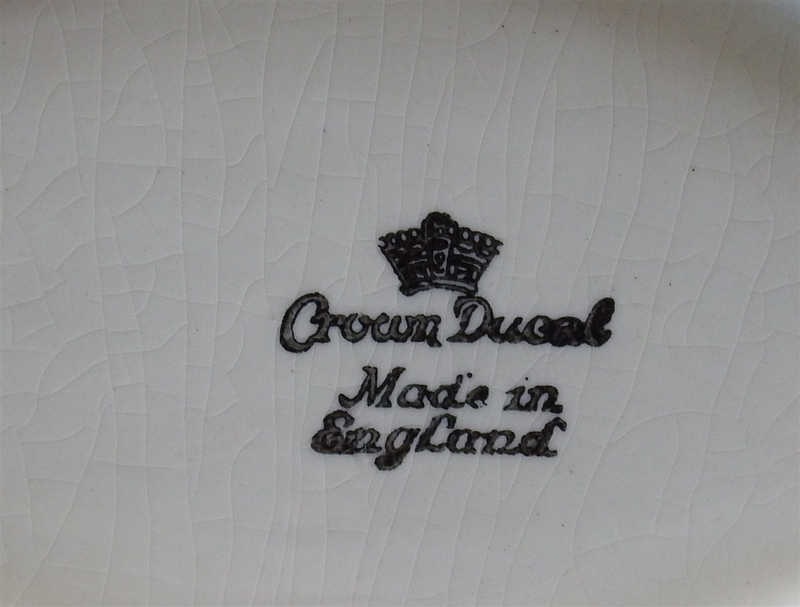 This listing is for a superb rare Crown Ducal Art Deco bowl 1935-1939, marked to the underside 'Crown Ducal Made in England'. The approximate dimensions are 277mm (11") x 168mm (6.75"). 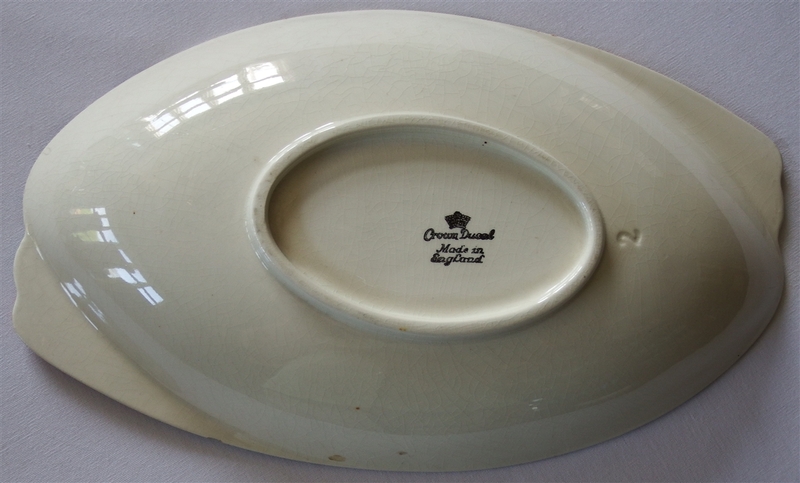 It is in very good condition for its age. 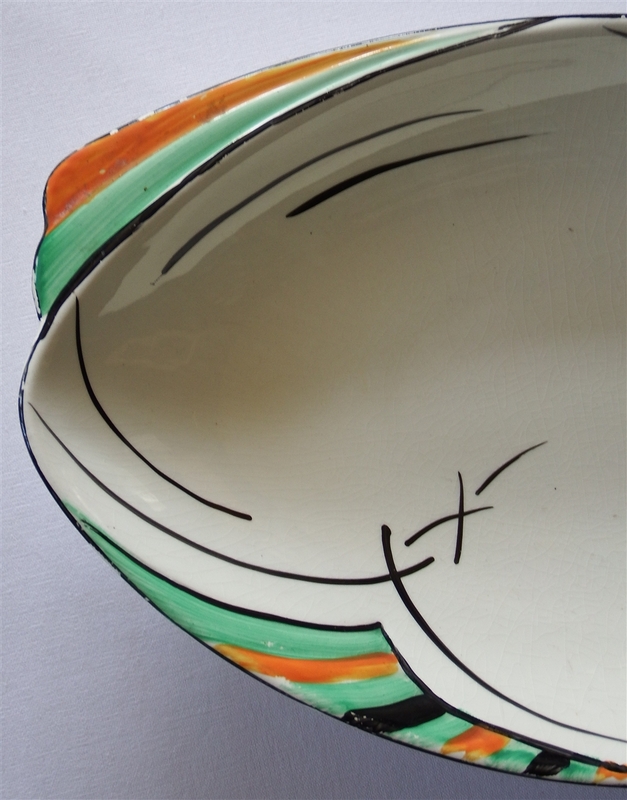 There are some small amounts of paint loss on the edges of the bowl. Please see photographs for detailed condition. 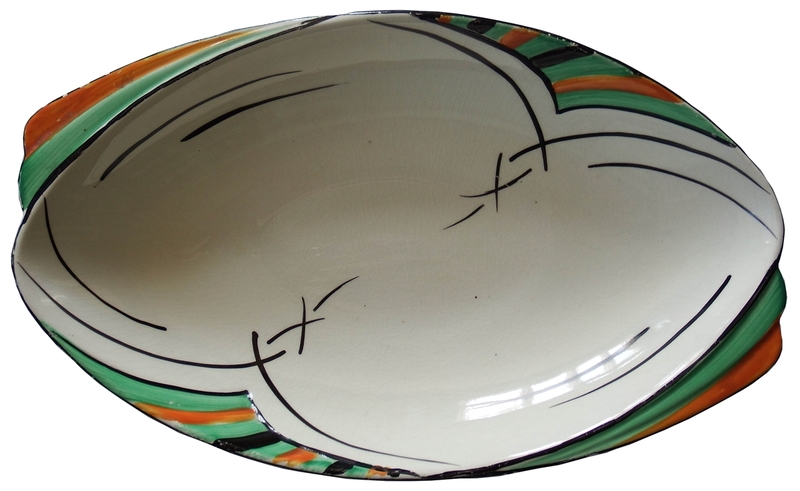 Dimensions: approximately 277mm (11") x 168mm (6.75"). Condition: It is in very good condition for its age. 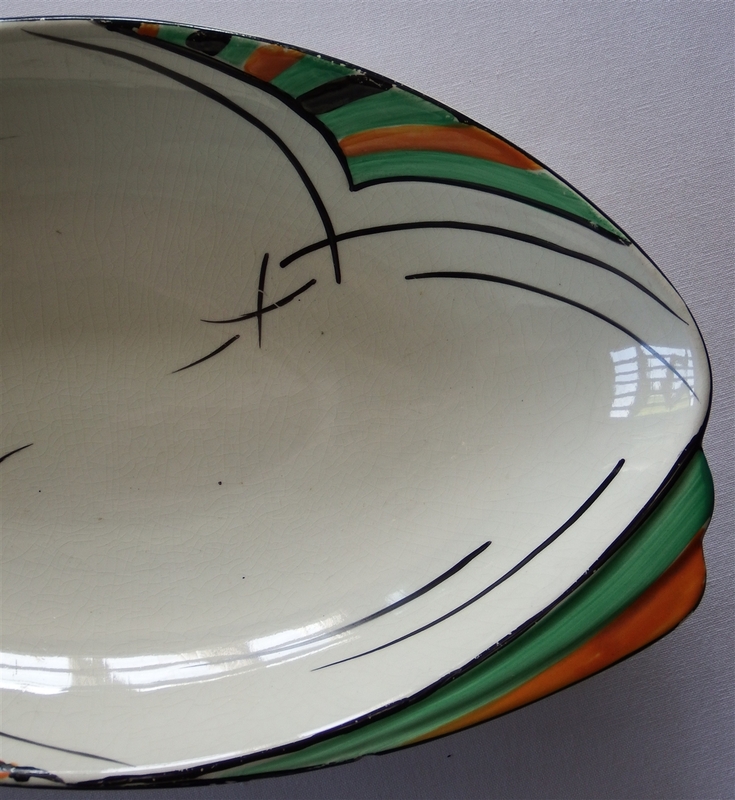 There are some small amounts of paint loss on the edges of the bowl. Please see photographs for detailed condition.